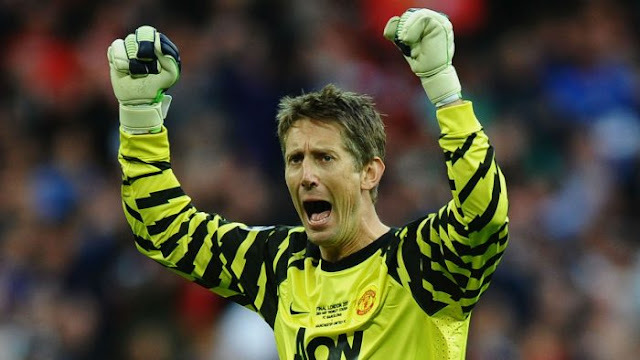 Former Manchester United goalkeeper, Edwin van der Sar has described reports linking him with a return to Old Trafford as their Director of Football as ‘nonsense’. Van der Sar spent six seasons at United, winning four English Premier League titles as well as the UEFA Champions League under former boss, Sir Alex Ferguson. The 47-year-old after quitting the Red Devils, returned to Holland side, Ajax as their marketing director before being promoted to their CEO. Speaking on re-joining United, Van der Sar told Ajax Inside, “I saw it a few weeks ago in the press, but that story about United is nonsense. “I still have a two-year contract. But Ajax is my club and I would like to stay longer.